On Christmas, Paras Chopra wrote a post titled Do a startup or travel the world? I found it on Hacker News and started to leave a comment before deciding to turn it into a blog post instead. I happen to have a lot of thoughts on the subject. I’m 26, have visited 13 countries and am on my 3rd startup. My goal is to visit 50 countries by the time I’m 50. I guess you could say traveling and entrepreneurship are two of my biggest passions. One of the reasons I gave people for starting my own company was that I could work from anywhere. Want to work from the beach in Thailand for a month? Sure! That plan turned out to be rather naive (at least for me). I soon discovered that running a company requires 110% of your focus. There are tons of extra complications of trying to run a company on the go. I have a hard enough time keeping up with email on business trips around the country! How do you hire and manage a team? How do you take sales and support calls? These issues aren’t trivial, but they can probably be overcome depending on your business and how big a priority travel is for you. I think the bigger challenge is the lack of mental focus. How do you figure out a bus schedule and diagnose a server issue at the same time? I’m not going to wait to be a millionaire to do the things I want to do, but I haven’t been able to figure out how to travel the world while giving a business the attention it requires to be successful. I’ve also found that people I meet while traveling usually have very different attitudes from the people I’m usually around. Every day you are meeting people who quit their job to travel. They don’t have a care in the world. They have no idea what their career will be and their care-free attitude can be very contagious. It’s probably good to relax and remember there is a world outside our tech bubble, but that attitude is the last thing you want rubbing off on you when you need a 110% focus on your startup. For me, the answer has been to go travel the world between startups. I ran EventVue for 3 years. After it shut down I traveled to Australia and New Zealand for a month. 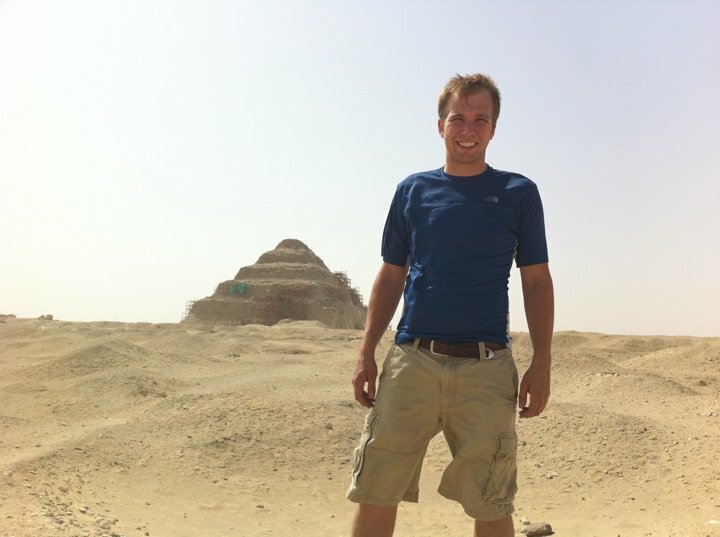 I did contract work for a few months and then traveled to Europe and Egypt before starting Torbit. I don’t know how long I will be working on Torbit, but I’ve accepted that I won’t get more than a week or two of pleasure travel a year. Yes, I’m dying to see Machu Picchu, climb a mountain in Nepal and eat Italian food in Italy, but I’m also really happy right now. I’m working on something I care about. Something that excites me. Something that matters. I always seem to have time and no money or money and no time. I have a rule that whenever it works out that I have both, I go travel. If you’re in a startup and wishing you were traveling instead, my advice is to save up and get out of debt now so when things line up for you to travel you are in a place to take advantage of it. I’ll get back to traveling the world at some point, but in the meantime I’m laser focused on speeding up the web and I’ll continue to live vicariously through Andrew Hyde as he travels the world for a year. I´ve been working on many startups, and one common factor at all these startups is that they all had a hard working entrepreneur in the top. All of them have been very focused on their product and working long days.